This super high quality 250gsm extreme smooth card is unlike anything you've seen. The finish is beautifully smooth and is perfect for laser printing. We have never had such a smooth card before in our range. This card really does give a real feel of quality by the touch alone. Make sure your project gives the impression that you want it too, make sure you use card from our Advocate range. 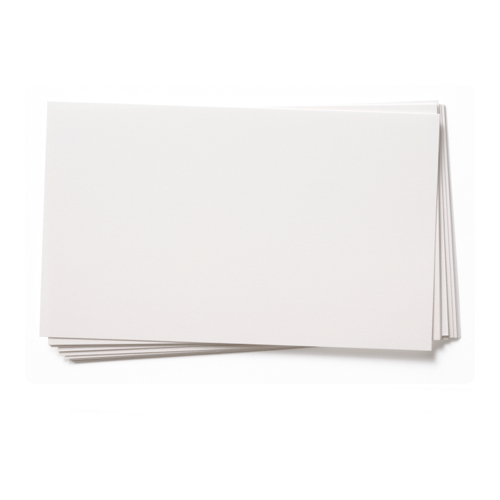 Very good, bright white card to use as front panel. Takes Copics and other markers really well and stamps like a dream. SRA3 size is perfect if making American A2 sized cards as cuts perfectly into 3 strips 4.25" wide - Bespoke Cutting service is a must for this.